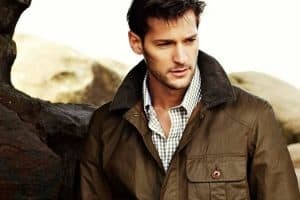 Without a little careful planning and consideration, attempting to stock a new-season wardrobe entirely from scratch is about as much fun as going to the doctor for a prostate exam. Especially when parting with significant amounts of cash. Fortunately, we’ve done it for you (the careful planning bit, not the prostate exam) by compiling 32 of the best budget buys no man should be without this summer. Limber up those fingers and get ready to click ‘add to basket’. Summer is the perfect time to invest in a bottle of fragrance that better represents the spirit of the season. Think light. Think fresh. Think something that’s not weapons-grade overpowering (yes, we’re looking at you A*Men wearers). In short, think one of these brand-new summer-friendly scents from some of the best names on the bathroom shelf. While stag weekend dress codes range from comedy hats to cocktail dresses (depending on the vibe), weddings – despite being incredibly boozy – are slightly more sober affairs when it comes to style. Not to worry, we’ve compiled a go-to guide brimming with tips and outfit ideas to see your wedding style soar this summer. Whether you’re an avid lifter wanting to show off your hard-won pecs, a cyclist who wants to maintain a pair of aerodynamic pins, or you simply hate having hairy shoulders, chances are you’ll have dabbled in body hair removal at some point. The question is: do you wax, shave or laser? Undecided? Here’s how to groom all the hair that’s not on top of your head, from your brows to your balls. With all the talk of timeless wardrobe classics, it can be tempting to sidestep trends and focus on the basics – but where’s the fun in that? To allow you to dabble in seasonal attire without looking like a street style ‘maverick’, we spoke to the editors, designers and stylists bringing these trends to the fore to find out how to wear them without coming across try-hard. Clocks have gone forward, the mercury is rising, and the sun shone for a whole eight minutes last week, all of which can only mean one thing. No, forget the beach body. It’s time to make sure our suits (not our stomachs) are summer-ready. 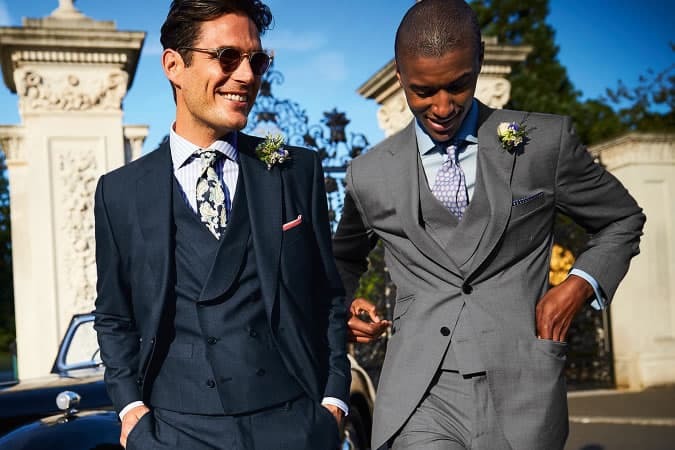 From modern and classic styles to brightly coloured and patterned designs, here are the six suits needed to make the next few months the hottest yet, sartorially speaking. A look is only as good as its weakest link. Therefore, the coolest guy in the room is not always the one wearing a floral Cuban collar shirt or trousers so wide they could double up as bell tents, but the one that nailed the basics with an expertly fitted white T-shirt or sleek penny loafers. These, and the other 13 classic pieces listed here, are the shortcuts to looking stylish this summer. The one thing you’ll be wearing constantly at your desk, on a plane, at a bar and in a pool over the next few months, your mop speaks to your style in ways clothes often can’t once the mercury rises. So you’d better make sure it looks good. To that end, we caught up with three of the UK’s best barbershops to get the long and short (as well as the in between) on this year’s hottest hair trends. Mastering trends in everyday clothes can be hard enough, but when you’ve got just one square foot of fabric covering your modesty, swimwear has to say more about you per inch than any other garment. To help you nail poolside cool this summer, we’ve picked the five swimwear trends that every man should be buying into. We’ll keep it brief(s). Sorry. Sunglasses are not just a style statement – they can attract or repel, be a mirror or a shield. If the eyes are the windows to the soul, then perfectly suited sunglasses aptly deserve to be called ‘shades’. But the business of selecting a pair is equally shady. You can be blinded by the range of styles available these days, and that’s before factoring in variables such as materials, colour and budget. Before breaking out into a sweat, use this guide to shed some light on the process. Most guys subscribe to the no-frills school of hair care, which, considering how much is usually there, makes sense. But when it comes to summer, a slapdash approach will only set you up for follicular failure. If you’re keen to keep your scalp from searing, or you want to know which products won’t melt after thirty seconds in the sun, keep these essential tips from top stylists in mind. You probably don’t need us to tell you that being a man during the warmer months comes with its own unique set of style questions: do these sunglasses suit my face? How bad are my sweat patches? And as discussed here: can I, should I, unleash the mankle? Here’s everything you need to know about the spring/summer style phenomenon of going sockless. Warmer weather means two things for your wardrobe: 1) It’s time to switch to clothes that make you feel cooler (easy); and 2) It’s time to start passing on black and navy in favour of brighter shades (less so). Get clever with the colour wheel this season and seek out trending shades that will suit your skin tone, so you can stand to instantly look more attractive. Nifty, eh? It’s fairly easy to style a pair of slim, dark jeans in the winter months. But as we swap the snow for sun, those bottoms will start creeping above your mankles and over your knees, creating opportunities for all manner of fashion faux pas. Not so long ago, there were few things more vociferously loathed in menswear than the unassuming short sleeve button-up. Fast forward to today and the once-derided style is now the summer staple you need at least five of. To get you on your way, here’s everything you need to know about finding the perfect fit, how to wear them and the brand’s we’re backing this season. Buck up. Because whether you endured floods or freezing temperatures through the winter months, there’s a warm front headed this way. Which means now’s the time to engage in a little forward planning to ensure you’re not left with rails of string vests and cargo shorts to pick over. Our advice? You could start in worse places than with these nine spring/summer pieces that are destined to become future menswear classics. You heard it here first. Sorry to break this to you, but you’ve probably left it too late to carve out a sidebar-of-shame-worthy physique for summer. But just because it’s only a month until wheels up, that doesn’t mean you should give up on looking good entirely. Complete this heavy metal workout three times a week and you’ll fire up your metabolism to burn excess blubber, spike muscle growth and give the optical illusion of a beach bod. For all intents and purposes, few situations are as stressful as a holiday. And to make matters worse, the inevitable stressors start on home soil – notably when attempting to build a beach-ready grooming routine. Sun, sand and seawater aren’t all they’re cracked up to be when it comes to your skin, so navigate the minefield with our pick of essentials your holiday regimen can’t do without. Political upheaval, terrorism, Donald Trump, Love Island. Doesn’t it feel like we need some cultural distractions more than ever this summer? Happily, the sunny season will duly oblige. The slate is packed with intriguing blockbusters, big music drops, holiday reads and binge-ready TV. Here are our picks for the best diversions from reality. We’ll see you in the autumn. When it comes to dressing for a holiday, few nations have a reputation as bad as the Brits. Ridiculously baggy board shorts? Guilty. Flip-flops in the city? Guilty. And the worst of the lot – the dreaded semi-clear carrier bag used in place of a beach bag – also guilty, your honour. Do your bit to restore our battered sartorial reputation abroad this summer by investing in these seven key holiday pieces that will get plenty of wear, whether in Greece or Glasgow. 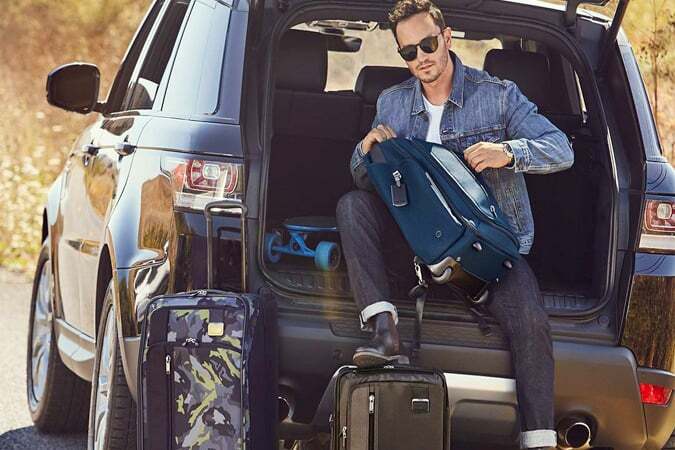 Like a timeless winter coat or a solid pair of brogues, luggage is an investment that’s not to be taken lightly. When hopping over borders and switching time zones, something to cart your kit in is the most important thing to have to hand (besides your passport). To minimise hassle and maximise style (not to mention space) on the go, you’ll need to find the right tools for the job. This is your guide to what to buy and where to find it. Safe travels. Before you slip into sandals this summer, it’s of the utmost importance to get your ugliest appendage in order. We’re talking about man’s boney, hairy, callus-ridden feet, which after six months hidden away from the world are probably not fit for public display. Fortunately, as well as visiting the professionals for a pedicure (during which crusty heels are scraped down, ingrown nails removed and skin softened with various soaks and ointments), there are a few steps that can be taken at home to have more handsome hooves. Ever since business-casual became a thing, men have been under pressure to look not just smart but relaxed-smart – and during the warmer months that’s enough to make anyone break out in a sweat. Fortunately we have seersucker. The lightweight, puckered cloth is comfortable, versatile and breezy in every sense of the word – perfect for all your warm-weather looks, no matter the dress code. Sandals, thongs, Jesus creepers – whatever you call them, open-toed footwear has been around for more than 6,000 years. But something interesting has happened: this season they’re more than just a way of avoiding fungal infections in gym showers. To that end, whether you want to look cool by the pool or stylish in the sand, here are the best flip-flops and sliders to try on for size. 1 How Much Should You Spend On A Watch?